The future of space is connectivity and automation. Buildings and cities are turning into Smart Buildings and Smart Cities where everything is connected to the cloud, powered by the internet. What makes these spaces ?smart? are the objects connected with one another and working in concert by sending massive amount of data to one another. The connectivity and data produced through this provide unimaginable benefits to the public, business and the government. This type of connectivity is also possible at home. In this article, we will explore what makes a smart home and the 10 Best smart home technologies ever made. You can control you house from remote place, also you can use vpn for you needs. What makes Smartphone, Smartwatch and Smart home similar? Connectivity. 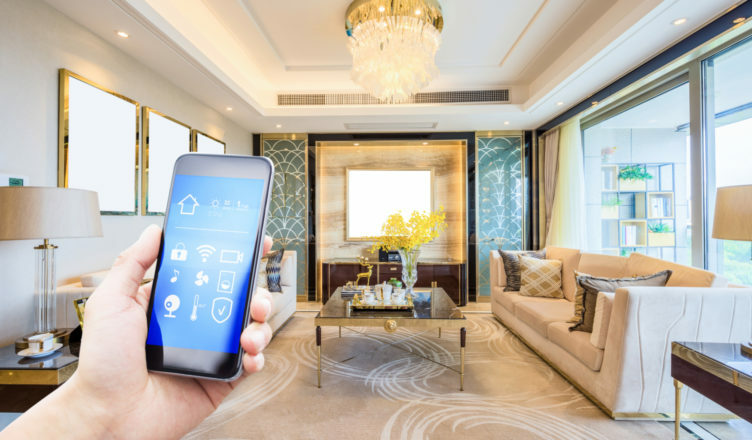 The paramount edge of smart homes over other homes is that devices and appliances are connected, automated and controlled from a central device, e.g your smartphone. This means your home is automated?you can set when and how a device/appliance should react while giving you the freedom to control them anywhere at any given time. Smart Home Technologies to Date By the year 2020, Cisco predicts that virtually everything will be in the cloud?92% of all workloads. This includes consumer loads and smart homes that are powered by the cloud. With this promising future for the Internet of Things, we give you the latest and best smart home devices to date. Amazon?s Alexa is an intelligent assistant that can be used as the central control for your home devices and as your personal assistant. Having Alexa in your home, you can control all your smart gadgets with your voice. Watch the video to learn more. You can keep an eye on your home wherever you are with Canary indoor security solution. Like many smart devices it is a technology that can learn to understand unusual activities in your home. And it can also monitor air quality, temperature and humidity. In case you spot a burglar while you?re away, you can turn on a high powered siren and signal the local police. It is your personal assistant to getting yourself to sleep. It can train you for better night sleep or help you develop the habit of waking up early. You can also connect Kello to other smart devices in your home e.g smart bulb. Having an organized home is not easy, but these innovations can certainly help. Once you own at least one of these devices, you will have a well-equipped smart home that will ? above many others ? help you save money, upgrade your space and keep it secure.